Wow. I have to tell you how much I LOVE emails and comments…getting your feedback on ideas is really helpful and incredibly inspiring. So don’t be shy! 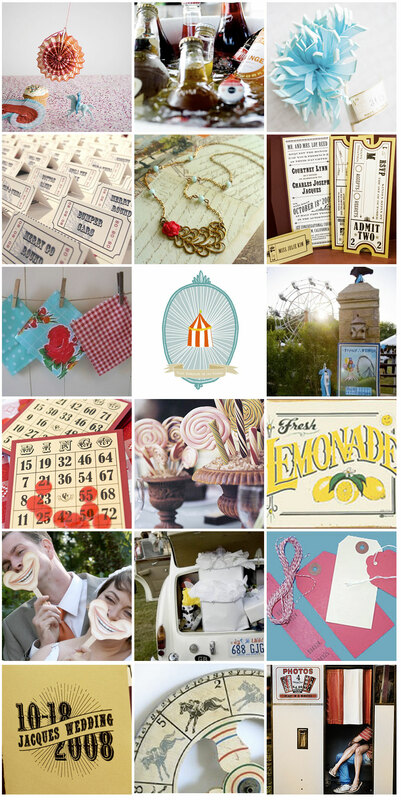 Speaking of, yesterday I received a request for a carnival wedding inspiration board…so here’s what I came up with! 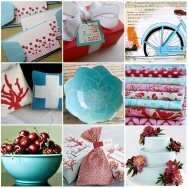 I love how the red and aqua work together…especially with those pops of yellow. I have two other requests that I’m working on for today, so stay tuned. OOH. this is so cute. 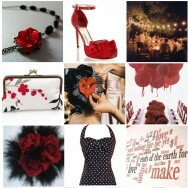 we've been thinking about the vintage carnival theme too. could be insanely cute. great research! WOW. You are my hero. How on earth did you do this in such a short amount of time?! And so well?! Thank you so much for taking the time to that for me. I truly appreciate it. And I LOVE the ideas. 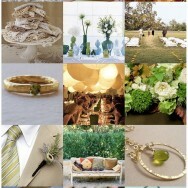 I can't wait to incorporate some of them into my reception. p.s. pics coming right now. sorry for the delay. Courtney and Charles wedding took place at our church Historic Griffith house FCCA in Anaheim they were such a cute couple I felt blessed to work with them. We have done several carnival themed weddings since. Thanks again to the Jacques! !